The rapid pace of change in business is driving an increased demand for flexibility and the ongoing adoption of cloud services. Connectivity is central to this transformation as users demand more capacity, faster speeds and better quality. And it is likely to continue to increase. Especially with the widespread adoption of distributed and mobile working practices and deployment of SaaS applications that make resilient connectivity critical to business performance. Connectivity is, without a doubt, the lifeblood of the modern organisation. Without it, few forward-looking businesses can hope to prosper and in practice it means organisations are looking for solutions that can deliver against both their current and future needs. Is MPLS on the way out? Traditionally this is where MPLS would rule the roost. It is robust, supported by service level agreements (SLAs) and is an established, familiar technology that enterprises, at one point in time, aspired to. However, on the other hand, it is also highly expensive, inflexible, takes a long time to be installed, and is a challenge when it comes to integrating with cloud services. Importantly, packet prioritisation is an expensive add-on. What this means is that the quality of VoIP phones could be compromised if they are run alongside other connectivity-based services that can soak up bandwidth capacity. VoIP’s main requirement is quality. When communicating with colleagues, prospects and stakeholders, there must be no lags, jags or inconsistent connectivity. However, in an office environment someone watching a YouTube video will steal bandwidth from someone at the desk next to them on an important conference call. As the resilience and flexibility of traditional MPLS-based connectivity becomes increasingly out of step with the communications needs of modern businesses, a new approach has emerged as the optimal solution. All IT teams have to accept that nothing stands still in connectivity. Business demand is growing rapidly and shaping the need for a better, more cost-effective and more functional solution that can deliver against increasingly onerous requirements. With compressed budgets, ailing infrastructure and unreliable connectivity, IT teams need to head out on the technology highway and make it happen – discovering new solutions that will help transform their businesses – particularly when they work for enterprises with multiple sites. Enter SD-WAN; globally, it is a growing market sector and Gartner forecasts that in the next two years or so, expenditure on the technology will reach a staggering $1.24 billion. Here’s what you need to know about the technology: SD-WAN delivers stable, low latency and intelligent connectivity solutions and it is easily integrated with cloud apps. For most businesses that is crucially advantageous as it saves time, removing aggravation and workload for the IT team. It is a much newer technology than MPLS, one that is more agile and much more cost-effective. That too is a critical advantage in today’s world where budgets are always being scrutinised. But the one major advantage of SD-WAN is that it is more resilient – especially if it is deployed using multi-path aggregated connectivity, which ensures diversity through the infrastructure layer and low latency where needed. Multi-path aggregated connectivity delivers real benefits to organisations of all sizes, especially when it comes to VoIP. Aggregating capacity across multiple lines can offer increased bandwidth and capacity, enhancing data throughput speeds and application performance, and delivering built-in resilience. SD-WAN is also especially effective at simplifying network topology, linking multiple sites together in an effective and efficient way. And unlike MPLS, SD-WAN is easily scalable allowing businesses to add sites and additional lines quickly and cost-effectively due to its software-defined nature. Again, this is a major advantage for those organisations on a tight budget. While the technology has a head start in the US market where the infrastructure is more accommodating, it is making definite inroads in the UK. But there are challenges. The key to its success in the UK, however, is not to rely on US-centric technology or to use resellers who repackage it, but on solutions specifically designed for the local market and network infrastructure, deployed by specialists who understand this market and the current challenges. The majority of SD-WAN vendors are based in the US and as such have developed their solutions based on a broadband infrastructure that is vastly different to ours in terms of quality and speed. As a result, the standardised SD-WAN products that work there are not fit for purpose on this side of the Atlantic, and could make the transition to the technology more expensive and more difficult without the promised benefits being realised. The news in 2018 that Cisco was preparing to include an SD-WAN upgrade in its routers is good example. While this was a positive step for the market in the UK, it is important for everyone to remember this software was developed in the US for a broadband infrastructure that is of a much higher quality and where vendors compete on that level of quality, instead of on price. The UK market presents a different set of challenges for businesses that are understandably eager to bring themselves the expected benefits of SD-WAN. There is no question now that change is sweeping through the connectivity market like a storm in the desert, driven by the ever-increasing demand for services that are better, faster, and just have more to offer. 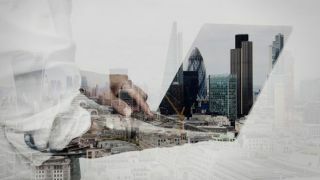 So, while SD-WAN may indeed be the connectivity solution that UK businesses are looking for, they cannot afford to rely on the approaches and technology developed by and for the US market to help realise its benefits. Instead, they need SD-WAN solutions designed for UK needs with our native broadband infrastructure in mind. And such solutions must be deployed by vendors that understand the challenges UK businesses face, and who develop their own software based on localised experience. It is the ISPs delivering SD-WAN solutions that dovetail perfectly with local infrastructure and have no disconnect between the software and underlying network layers who will almost certainly see the greatest gains.